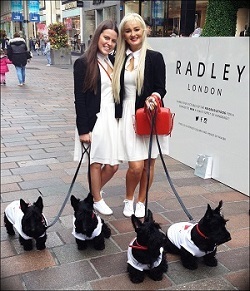 Pitlane is a leading UK promotional staffing agency with more than 3,000 registered Scottish staff. We have been providing experienced promotional staff across Scotland since 2010 have worked with many Scottish companies. Hostesses and Ibrox and Celtic Park for black tie charity dinners. Provided staff for many events on Sauchiehall Street including a new store opening for Radley and a temporary beach for Jet2 Holidays. Grid Girls at Knockhill circuit in Fife where our gorgeous ladies were employed to look amazing and pose for pictures insuring the clients brand was in all shots. Sampling and product demo staff at Silverburn and East Kilbride Shopping Centres. Promoted cars for SEAT, Volkswagen and Ford in intu Braehead Shopping Centre. Is it worth hiring promotional personnel for events in Scotland? The simple answer is absolutely! We select the right people depending on what you want to achieve. If you require leaflet distributers then we will hire to you promotional staff that have the experience and confidence to approach the general public and talk to them about your company as well as distribute your literature. We always use local staff and can provide you with all kinds of exhibition staff from hostesses to brand ambassadors throughout Scotland. Our staff have performed their duties in Glasgow, Edinburgh, Stirling, Perth, Dundee, Inverness and Aberdeen. Whether you need one or two staff, or multiples, we can help make you event a great success. Our bookings team would love to talk to you about your requirements and how we can help you with your next promotion in Scotland so please call us on 0844 800 0071 for a free and fast quotation.